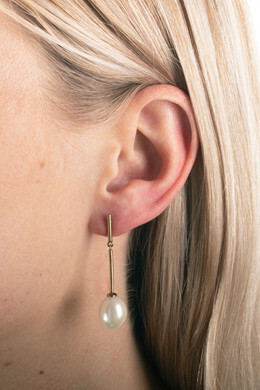 Sleek and elegant studded earrings in a polished gold toned finish. 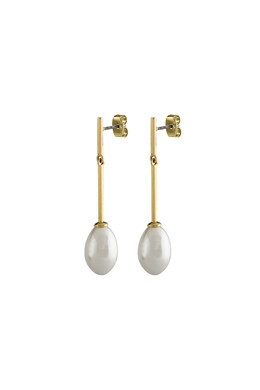 The earrings have a drop shaped pendant with a soft white faux-pearl at the end. A pair that lets you create a feminine and simplistic look for all occasions. With a butterfly closure.